London: The World's Work. 1938. First edition. 8vo. 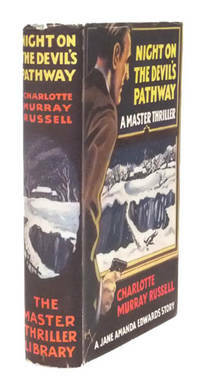 Near fine in publisher's light green cloth titled in black to spine and front board. Very light wear to spine ends. In a near fine unclipped dustwrapper, bright, sharp and clean with very slight wear to head and tail of spine. Trifling soiling to white rear panel. Internally clean. A Jane Amanda Edwards story, a very sharp copy indeed.